....and they'll be having a ton of fun doing it. 98% of program participants would recommend this program to their friends, and have indicated that they would like to take additional sessions to continue learning robotics. The program is designed to run over four sessions (75 minutes each), but the additional session ideas allow it to easily be stretched to cover more than 10 hours of after-school programming. And even program the robot to recognize them and greet them by name. You won’t believe what your students can do! 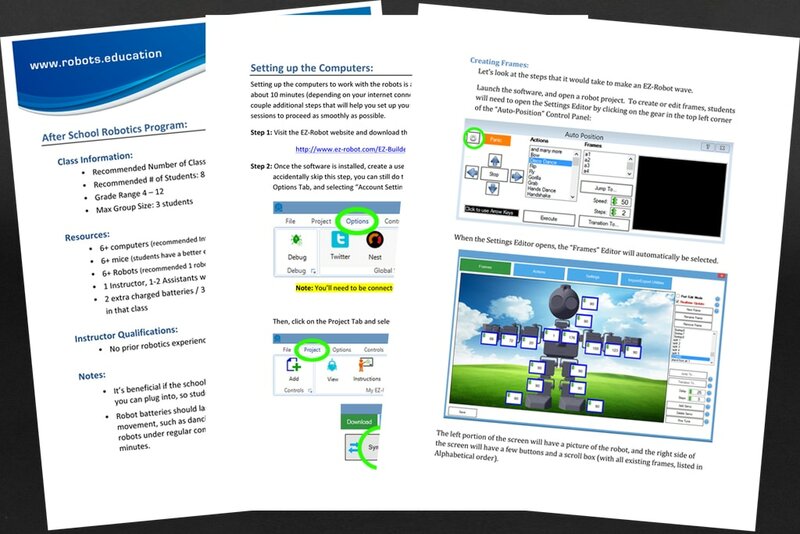 EZ-Robot is an incredible robotics platform for helping students of all ages learn robotics. Using our comprehensive solution, anyone can successfully teach a super-fun and engaging after-school robotics program. No prior robotics or programming experience is required!